Sozo is an impeccably maintained example of the very popular Malo 40. 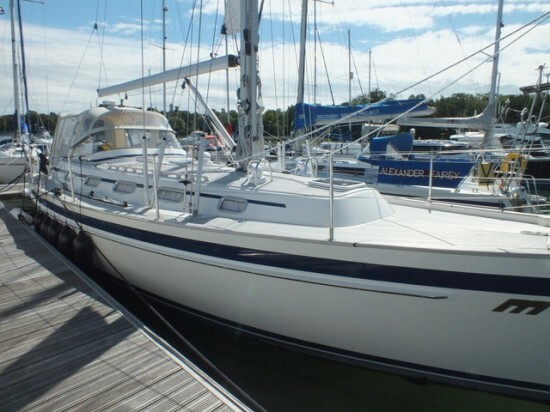 A fabulous 40 foot ocean cruising yacht, one of the very best, offering impressive sailing performance in light winds and outstanding comfort and seakeeping in rough conditions. Malo Yachts offer the best cruising cockpit you can find, combining excellent shelter and protection with the ability to move aorund safely and control all lines from the helm position. We commissioned and delivered this boat when it was first launched and have been involved in its maintenance ever since including the many additions and upgrades in 2015. With updated electronics, recent sails and the benefit of additional battery charging from an Efoy fuel cell and also solar panels, this is a cruisning boat not to be missed. Whilst equipped for long distance sailing Sozo has only been lightly used since new and has not ventured beyond northern France. Contact us for more information and to arrange for us to show you around.